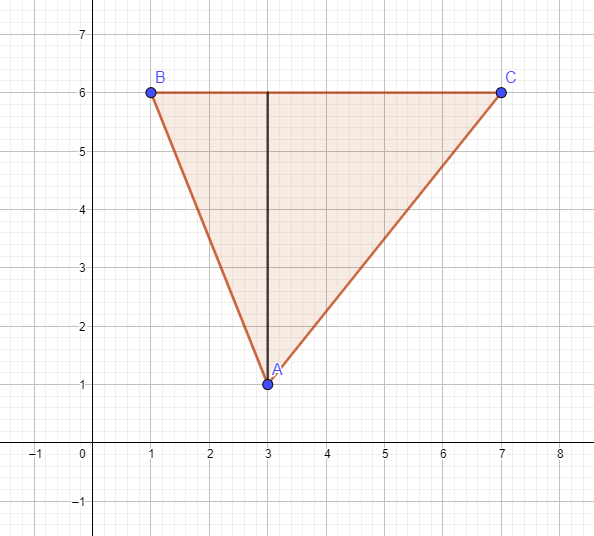 Every triangle has an orthocenter, which is the intersection point of the triangle's three altitudes, each of which is a line segment from a vertex orthogonally to the altitude's extended base. 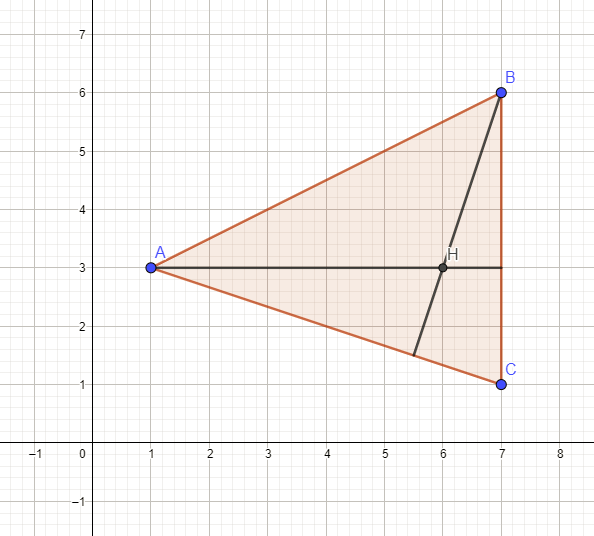 Formulas for the orthocenter are derived using the Cartesian coordinates of the triangle. 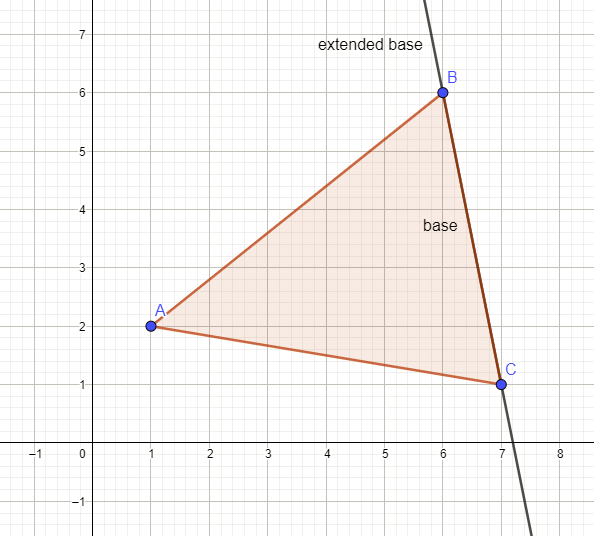 From each vertex, a line segment, referred to as its altitude, can be drawn to its extended base such that the altitude is orthogonal to the extended base. 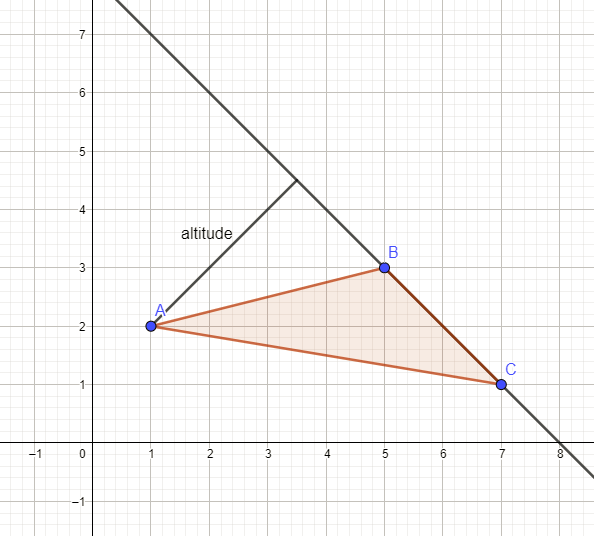 For any acute triangle or right triangle, each altitude intersects its base side. 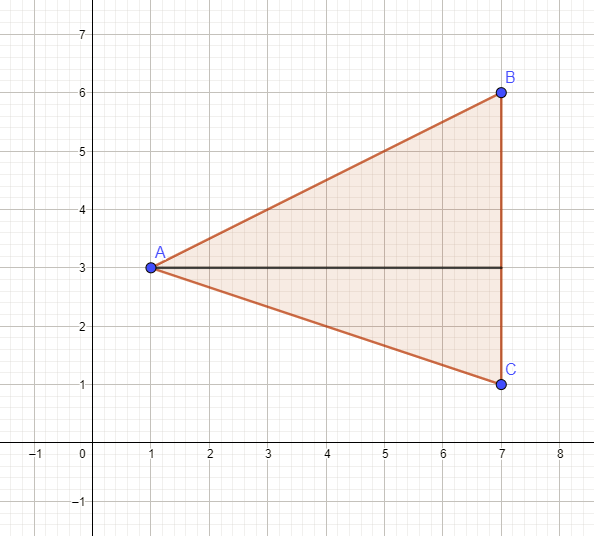 For an obtuse triangle, only for its single obtuse angle, the altitude from its vertex similarly intersects its base side. 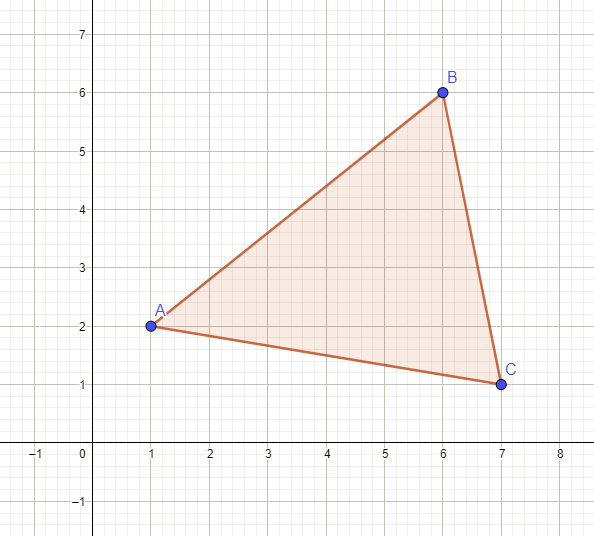 However, for each of the two acute angles, the altitude from its vertex does not intersect its base side, but does intersect its extended base, outside the triangle. 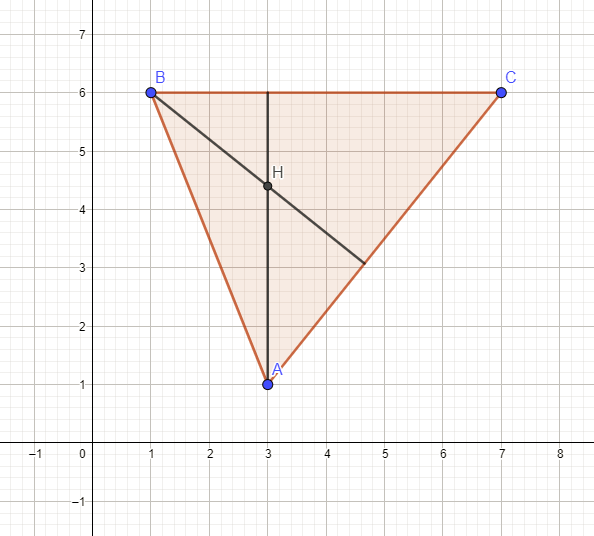 For any triangle, the three altitudes intersect at a point referred to as the orthocenter, usually labeled `H`. 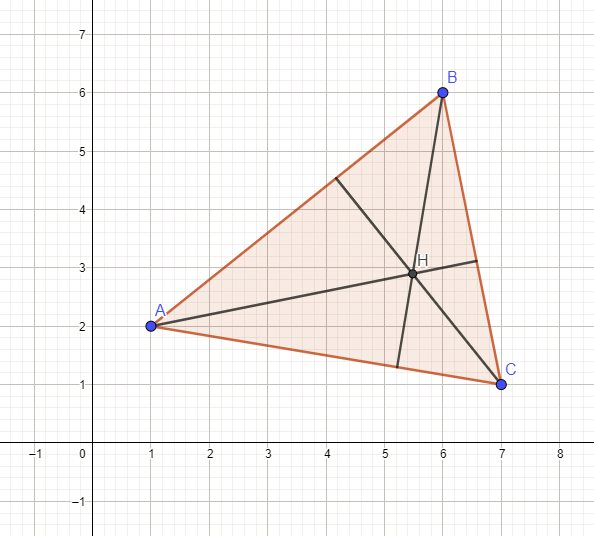 Throughout mathematics literature, the orthocenter is typically represented using trigonometric or vector notation, either of which result in far more work needed to calculate the Cartesian coordinates of an orthocenter than if Cartesian formulas were available. Here it is shown that such formulas can be derived from the definition of the orthocenter — specifically, the extended bases, their slopes, the orthogonal altitudes, and the vertices. In the analysis below, two well-known formulas for lines on the Cartesian plane are used — one derivable from the other. If `B_x = C_x`, then `B_y != C_y`, because then `B` and `C` would be the same point, and the three points `A`, `B`, and `C` would define merely a line segment from `A` to `B`/`C`, and not a triangle. If `B_y = C_y`, then similarly `B_x != C_x`, because then `B` and `C` would again be the same point. 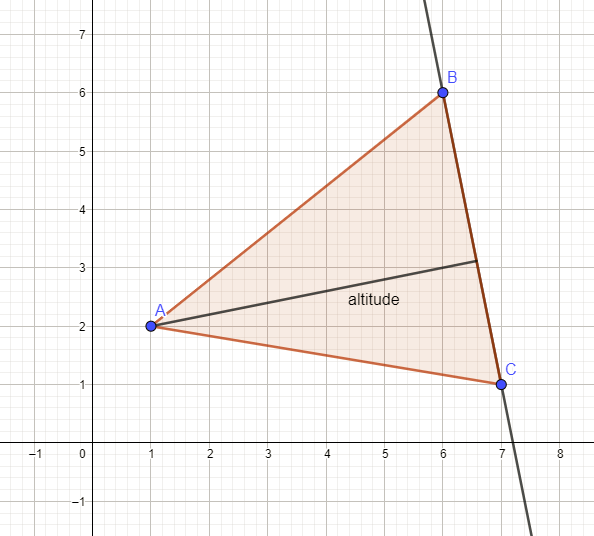 Any two of the three general altitude equations derived above contain two variables, `x` and `y`, and thus can be solved for the intersection point `C` of the altitudes. Regarding the denominators having nonzero values, the special cases of `A_y = C_y` and `B_y = C_y` were addressed earlier. The only exceptions to this formula are the three special cases noted earlier: If `B_y = C_y`, then `x = A_x`. If `A_y = C_y`, then `x = B_x`. If `A_y = B_y`, then `x = C_x`. Those cases are evident in the denominator of the general formula above. Regarding the denominators having nonzero values, the special cases of `B_x = C_x` and `A_y = C_y` were addressed earlier. The only exceptions to this formula are the three special cases noted earlier: If `B_x = C_x`, then `y = A_y`. If `A_x = C_x`, then `y = B_y`. If `A_x = B_x`, then `y = C_y`. Those cases are evident in the denominator of the general formula above. Throughout this process of deriving the various equations, the symmetry of the terms that compose them is unmistakable, and reflects the beauty of geometry. Those coordinates are indeed what are seen in that figure. Again, the altitudes in the figure intersect at that exact point. These results are consistent with the graph in the figure.